America’s love affair with “Tidying Up with Marie Kondo” isn’t just sparking joy in people’s closets and garages. A new report from the NPD Group says the Netflix hit show is causing a run on storage and organizational products. And Goodwill Industries says it is seeing double-digit increases in donations around the country. NPD, a Port Washington, N.Y.-based market research firm, says that January sales of such products typically increase as people resolve to get more organized and back to business. But this year, in the four weeks ending Feb. 2, sales of file storage sales are up 3%, packing products up 7%, and laminating up 10%. Sales of label printers gained 8%. 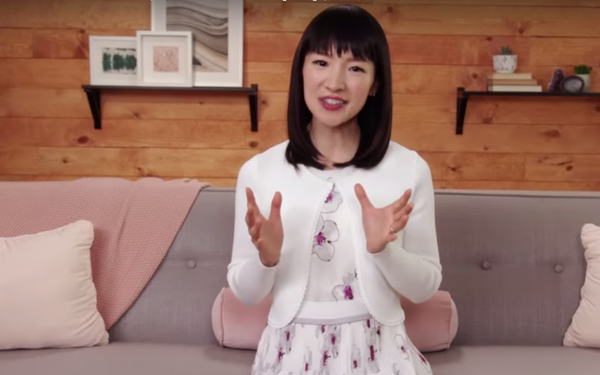 Kondo’s approach asks people to pile up all their belongings and then sort them, keeping only those items that “spark joy” before “thanking” the castoffs and then giving them away. Kondo herself is riding the celebrity wave, including appearances on "The Late Show With Stephen Colbert." “I anticipate sales of organization solutions will continue to see a positive effect from consumers’ latest obsession with tidying, especially as spring cleaning season approaches,” writes Leen Nsouli, NPD’s office supplies and home improvement industry analyst, in the report. The trend has caused something of a stampede toward thrift shops, and Lauren Lawson Zilai, spokesperson for Goodwill Industries, says the organization has seen donations surge between 10% and 20%. Increases have been greater in certain markets, she says, with those in the Washington D.C. area climbing 30%, and up 20% in Roanoke, Va., and Grand Rapids, Mich. “Our Tampa locations have received 5 million pounds of donations more than last year,” she says. “This is a cultural phenomenon that’s good for us, in terms of our mission, and we’re happy to be able to leverage it,” adds Zilai.